Director of Family Mediation NI Joan Davis was responding to Detail Data research that found almost half of all orders being made in Northern Ireland’s family courts are for ‘contact’ and ‘residence’ – generally setting out which parent a child lives with and when they have contact with their other parent. The new findings have sparked calls for more use of mediation as an alternative to court action, while Detail Data has also gained rare access to family courts which has revealed the impact of proceedings on children. Our examination of court data also uncovered errors in the Courts Service's official Children Order statistics – which record judges’ decisions affecting children’s lives and help frame planning. Figures covering a nine year period will now have to be amended. Detail Data can today reveal more than 24,000 decisions impacting on thousands of children’s lives were made by judges over the last three years. We were also granted significant access to the family courts, which deal with sensitive issues, normally held in private, such as children being removed from their parents’ care and separated couples fighting over custody of their children. We obtained comprehensive statistics on family court rulings – known as Children Orders - made between September 2012 and August 2015 in response to Freedom of Information requests lodged with the Northern Ireland Courts and Tribunals Service (NICTS). An analysis of data from the Family Proceedings Court, Family Care Centre and High Court found that 10,206 contact and residence orders were made over the last three judicial years. Those orders can relate to more than one child. In comparison Family Mediation NI – the largest provider of pre-court family mediation here – received government funding over the same period to assist 750 families reach agreement outside the justice system. Joan Davis of Family Mediation NI said: “The problem with the courts system is that it is being used to perpetuate family conflict inadvertently. It is an adversarial process by nature. “The rest of Europe uses mediation as the default first option in family breakdown, and yet in Northern Ireland the default process is the courts system. Ms Davis claimed that policy has not kept pace with social change and the make-up of modern families with almost twice as many children (10,504) born to unmarried parents in 2014 compared to 1994 (5,337). The Northern Ireland Statistics and Research Agency figures also show that the parents of 2,400 children (under the age of 18) divorced in 2013. As a result of our research, errors in the Courts Service’s official Children Order statistics have come to light. The NICTS has initiated an immediate review of its data and said it will have to amend and republish figures covering a nine-year period. It has also confirmed to Detail Data that it is undertaking a consultation exercise and has proposed a new methodology of counting the number of Children Orders made by judges. Click here to read a full response from NICTS. NICTS provided us with an updated dataset, which it has said is accurate. It is those figures we are reporting on today. The statistics relate to final orders, which are issued at the conclusion of court action. Each order can apply to more than one child (for example one order could relate to every child in a family). They cover both public law - involving individuals and the government such as a child being placed in the care of social services - and private law, which deals with relations between individuals such as couples unable to agree arrangements regarding their children following a relationship breakdown. In 2013/14 private law Children Orders cost £11.7million in legal aid. Family Mediation NI receives just over £200,000 per year in government funding to facilitate pre-court mediation. The Courts Service budget has been cut by £4.5million (10.8%) since April 2014. The time taken to conclude private law cases has risen by more than a week to an average of six months. Twenty-two cases took on average 16 months to conclude in one court. Family courts located at 14 venues across Northern Ireland sat in total for almost 15,000 hours in 5,432 sittings between September 2012 and August 2015. Up to 23,722 children were involved in concluded cases. Judges granted applications for 870 care orders over the three years to protect children at risk of significant harm. During that timeframe more than 2,600 children were placed in care. 20 orders for the recovery of a child were granted. 60 secure accommodation orders were made. Judges granted applications for 145 education supervision orders. Detail Data also monitored judgments published by the Courts Service which included the tragic case of a single mother with terminal cancer who had no one to care for her son. In a further case involving twin boys who were abused, social services were criticised for their handling of the case. In a third case a judge returned two children to their mother's care. Click on these links for the judgments, including the single mother with terminal cancer,twin boys who were abused and two children returned to their mother's care. Our findings are being published today amid calls for greater transparency, a stronger focus on mediation as an alternative to court and a warning that delays are impacting on the mental wellbeing of children. An appeal has also been made for the Executive - as the issue falls under the remit of three departments – health, justice and finance and personnel - to invest more money in mediation in an effort to encourage families to resolve their issues without court intervention. Detail Data sat in on family court hearings over four days where we witnessed the complexities of the system and the families behind the statistics. In one case a separated husband and wife, who had two young daughters, had been before the courts 29 times over 18 months arguing over access to the children including on birthdays and public holidays. In two others a six-month-old baby had been placed in foster care after sustaining a significant injury and a “bright” teenager had become “disconsolate” after being placed in foster care when 8,000 indecent images of children were found on a computer belonging to her mother's boyfriend. Click here to read Detail Data’s report on the children involved in family court cases we attended. Family Mediation NI, which helps families and separating couples deal with disputes including drawing up a parenting agreement, has estimated that 70% of contact/residence disputes would benefit from mediated solutions. Click here to learn more about the work of Family Mediation NI. Charity Barnardo’s NI, which also provides pre-court mediation, wants to see a more constructive approach “to divert greater numbers of parents away from the courts”. The parents of Alana Fisher from Belfast turned to the legal system when their relationship ended. Now aged 25, she still recalls the impact of a court order which allowed her father to only see her between 12pm and 6pm each Saturday. “I feel like we both missed out on a lot of things. You can’t really pack your childhood into six hours one day a week,” she explained. “I remember just feeling a lot of anger and resentment. “I understand there may be certain cases where it may be unavoidable. But in my experience I think it’s just more damaging to bring court proceedings into play. To read Alana’s story click here. Connor, who spent four years in the family courts when his marriage broke down, advises parents if "they can resolve things amicably to do that first - go to family mediation, explore any option to come to an agreement about your future and most importantly the children - before going through the whole expense and trauma of court”. To read Connor’s story click here. 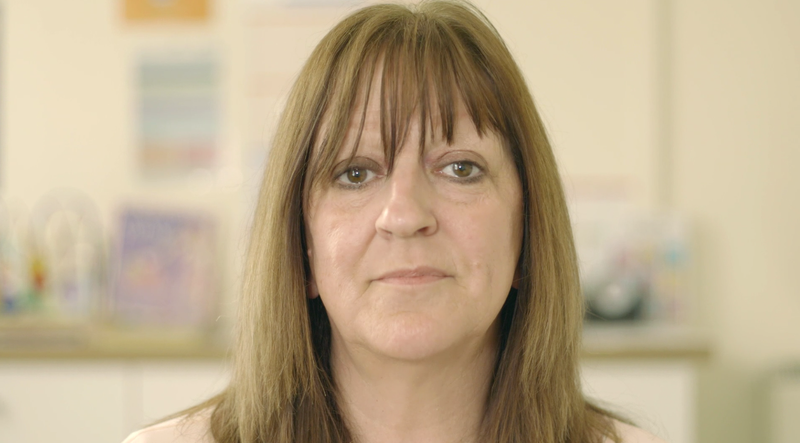 Family Mediation NI believes that with the public sector budgetary pressures more families should be encouraged to try mediation before turning to the justice system. Many contact and residence court cases (which fall under private law) are funded by the public purse via legal aid. According to DOJ in 2013/14 private law Children Orders cost £11.7million. In comparison Family Mediation NI receives just over £200,000 per year in government funding to facilitate pre-court mediation. A DOJ spokeswoman explained: “The Minister decided that instead of removing a large range of private Children Order proceedings from scope [of legal aid] that the Department would issue guidance to the Legal Services Agency with the intention of reducing the potential for multiple contact applications for relatively minor issues. This guidance has not been issued yet. “Legal aid continues to fund mediation in family cases, usually when this has been court ordered by a judge in the course of proceedings. The Access to Justice 2 report highlighted further areas of interest in regard to mediation and this matter will be revisited in the future." However, family law solicitor Suzanne Rice cited the strengths of the judicial system. She said: “At the end of the court process parties are walking out with a court order whether that be a residence or contact order, which is defining a very clear framework for how arrangements for the children will be organised both now and in the future so it gives structure and framework to the parties. "It goes without saying that the family law system is not a perfect model but it is a very realistic model." The Courts Service’s budget has been cut by £4.5million (10.8%) since April 2014 and Justice Minister David Ford has warned its funding allocation will be “reduced again significantly in the incoming financial year”. 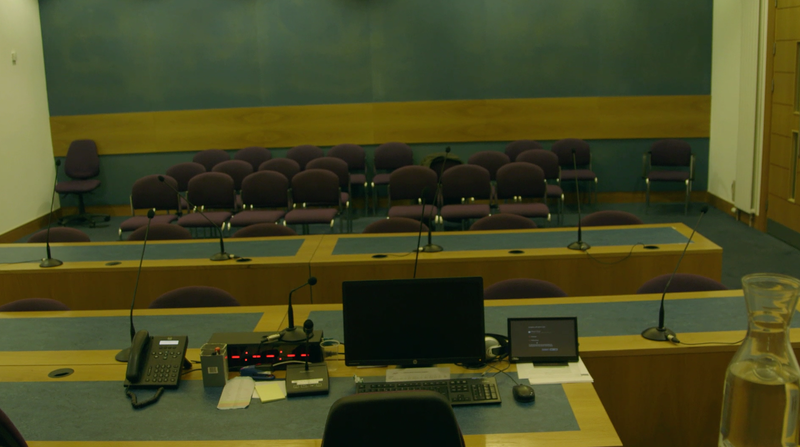 In a move that will deliver recurrent annual savings of over £2million, the Minister recently announced the closure of another five courthouses - Lisburn, Ballymena, Armagh, Strabane and Magherafelt. Belfast’s Old Townhall Building is also to remain closed. It had been earmarked to become a unified family court. An analysis by Detail Data of the NICTS figures indicates that the closure of Lisburn Family Proceedings Court and Lisburn Family Care Centre could result in a 26% increase of cases for Belfast’s family courts. A NICTS spokesman said: “The consultation paper on the rationalisation of the court estate indicated that court closures are based on the capacity of the receiving venue to accommodate the transferring sittings." Ms Rice of McKeown & co Solicitors is concerned about the impact of court closures. She explained: “Often the majority of proceedings are coming in at the family proceedings court level so you could be looking at up to 30 cases in any one day on the list. That’s a lot of cases for one judge to work through. There are also concerns about the length of time cases are taking to be resolved despite there being a no-delay principle enshrined in The Children (Northern Ireland) Order 1995 because delay “is likely to prejudice the welfare of the child”. There are currently no statutory time limits for Children Order cases going through the courts. An analysis of NICTS figures indicates that despite an 11% fall in the number of private law applications lodged between September 2012 and August 2015, the average time for such cases to conclude has risen by more than a week to six months. At Londonderry Family Care Centre the average time for 22 private law cases to conclude last year was 16 months. The number of private law cases far outweighs public cases by a ratio of seven to one. Meanwhile efforts are being made to minimise unnecessary delay for children involved in care proceedings to achieve permanence for them at the earliest opportunity including looking at introducing a statutory six months time limit similar to England and Wales. The joint Department of Health and Justice pilot is underway at Newtownards and Londonderry Family Proceedings Courts. The one year project is due to end in December. Dr John Devaney commented: “Health and social care trusts in Northern Ireland work with a large number of children and families each year. A small number of such cases result in applications to the courts for trusts to have a more formal legal role in the lives of children – usually in relation to instances where children are at risk of very significant harm. Currently in Northern Ireland the average time for a public law case to conclude is eight months. However, at Londonderry Family Care Centre the average time for 10 public law cases to conclude last year was 19 months. “Public law applications involve the local authorities and can often deal with complex and serious issues in relation to the welfare of a child, and this can affect waiting times,” a NICTS spokesman said. Stephen Knox, assistant director of children's services at Barnardo's NI, which provides a range of services including fostering and residential care said: "It has been a concern of all involved, over some considerable time, the length of time cases are taking to move through the court. "From Barnardo's point of view, in all these circumstances but particularly in public law, children need safety, security, consistency in their care and they need to be resolved as rapidly as possible. "For children's social, emotional welfare and their sound development, long term arrangements need to be made as effectively as possible." The Northern Ireland Audit Office is also looking at avoidable delay in the court system across all areas of justice. That report is due to be published in 2017. Delay is also a common theme in reports by the Children Order Advisory Committee (COAC) established to advise ministers on the progress of Children Order cases through the court system with a view to identifying difficulties and reducing avoidable delay. As family courts remain closed COAC’s reports provide insight into the challenges facing professionals working within the family justice area. Detail Data looked at publications between July 2008 and 2013. Other concerns raised by COAC, whose members include judiciary, health and social care trusts, were: Availability of court time, the pressure of lengthy family care centre lists, chronic difficulties in securing reports from social services, delays in providing welfare reports and inadequate provision of court children’s officers. The last COAC report was published in July 2013 covering the 2010/11 year period. When Detail Data asked NICTS for the outstanding reports, they said: “Whilst there is no statutory provision for COAC to publish annual reports, COAC does strive to publish reports on an annual basis retrospectively. At the time of publication of this article, the reports had not been made public eight months after the commitment to us. The Courts Service data reveals there were 870 final care orders issued by the courts between September 2012 and August 2015. However, again those statistics do not tell us how many children each care order relates to. In comparison DHSSPS figures show between October 2012 and September 2015 – a similar timeframe to the NICTS data we analysed - 2,648 children were placed in care. As well as some children being admitted to care more than once, children can enter care without the need for a care order – they are accommodated by the trust through a voluntary agreement with their parent. "The main reason for children and young people living apart from their families remains to protect them from abuse and neglect,” said a DHSSPS spokeswoman. However, whilst the total number of children in care in Northern Ireland increased by 2% between 2012/13 and 2014/15, the number entering care has fallen by 15% over the same timeframe, according to DHSSPS. That correlates with NICTS figures which show a 6% decrease in final care orders in 2014/15 compared to 2012/13. DHSSPS figures also show that during the timeframe of our request 245 children moved from care to adoption – one child had been in care for 10 years. Barnardo’s Stephen Knox explained: “There’s a desperate need for foster carers particularly in light of these figures. To find out more about Barnardo’s NI, and in particular fostering, click here. In September 2015 the Lord Chief Justice announced a wide-ranging review of civil and family justice in Northern Ireland including better ways of dealing with cases of relationship breakdown involving children. The two year project headed by Lord Justice Gillen will “take a comprehensive look at whether the system in Northern Ireland remains fit for purpose in a modern context”. Aims of the review, which will look at the use of mediation, include achieving better outcomes for court users - particularly for children and young people - and creating a more responsive and proportionate system. It has been almost 16 years since the last review. Click here to read the terms of reference for the Review of Civil and Family Justice. Family law solicitor Suzanne Rice explained: “The fact that our children’s order legislation has been in place since 1995 I think now is an ideal time for us to look at the order and to see what changes in society are now requiring changes in legislation. Ms Rice, who is also a member of COAC, believes there is a “need to inform members of the public about the family law system and how the courts operate”. She added “we are constricted at this moment and time with the family court being a closed court so there certainly needs to be an analysis into whether moving forward we need to look at opening up those courts a little bit more but at the same time ensuring confidentiality and privacy for the parties involved”. The Lord Chief Justice, Sir Declan Morgan, granted Detail Data rare access to the family courts. Unlike criminal courts which are open to the public and the media routinely reports on them – family courts are effectively closed as permission to attend a hearing must be approved by a judge. 12% of final orders were withdrawn or dismissed. Our examination of court data also uncovered errors in the Courts Service’s official Children Order statistics – which record judges’ decisions affecting children’s lives and help frame planning. Figures covering a nine year period will now have to be amended. Family law solicitor Suzanne Rice said: “The strengths of the judicial system is at the end of the court process parties are walking out with a court order whether that be a residence or contact order, which is defining a very clear framework for how arrangements for the children will be organised both now and in the future so it gives structure and as I said framework to the parties. In 2013/14 private law Children Orders cost £11.7million. Family Mediation NI receives just over £200,000 per year in government funding to facilitate pre-court mediation. Detail Data also monitored judgments published by the Courts Service which included the tragic cases of a single mother with terminal cancer who had no one to care for her son. In other cases involving twin boys who were abused, social services were criticised for their handling of the case, while separately a judge returned two children to the care of their mother after finding no evidence that they had been deliberately harmed. Click on these links for the judgments on the single mother with terminal cancer, the care of brothers whose mother was in jail, twin boys who were abused and two children returned to their mother's care.